GYBN is a unique network which unites young people and youth organizations from all parts of the world and all walks of life by one common goal: To halt the loss of Biodiversity as soon as possible! Despite its absolutely crucial importance for all life on earth, biodiversity continues to be lost at an unprecedented rate, estimated to be between 1,000 and 10,000 times higher than the natural extinction rate. That means that every twenty minutes another species goes extinct forever! Protecting natural diversity is not only about preserving the beauty of nature, but also about securing the basis for our survival. In light of these alarming facts, youth delegates from 31 countries came together at the 10th conference of the parties to the United Nation’s Convention on Biological Diversity (CBD COP10) in Nagoya, Japan in October 2010, and decided to establish the Global Youth for Biodiversity Network. Our mission is to raise global awareness for the intrinsic value of biodiversity. We want to strengthen and support youth efforts to promote and protect biodiversity. For this purpose GYBN provides a global platform where youth organizations and individuals active on biodiversity can get in touch with each other and are able to join forces for the protection of biological diversity on our planet. GYBN is also the international coordination platform for youth participation in the Convention on Biological Diversity (CBD) and is committed to bring the opinions and positions of youth into the negotiations. Biodiversity loss doesn’t stop at national boarders - join our network and get connected with like-minded young people and youth organizations from all over the world! Help us to halt the loss of Biodiversity! For more videos of the conference check our Youtube-channel! 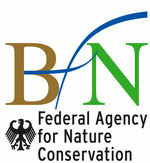 The project is supported with funding from the German Environment Ministry (BMU) and the Federal Agency for Nature Conservation (BfN).